The Adventure Aquarium is located on the Delaware riverfront in Philadelphia, Pennsylvania. 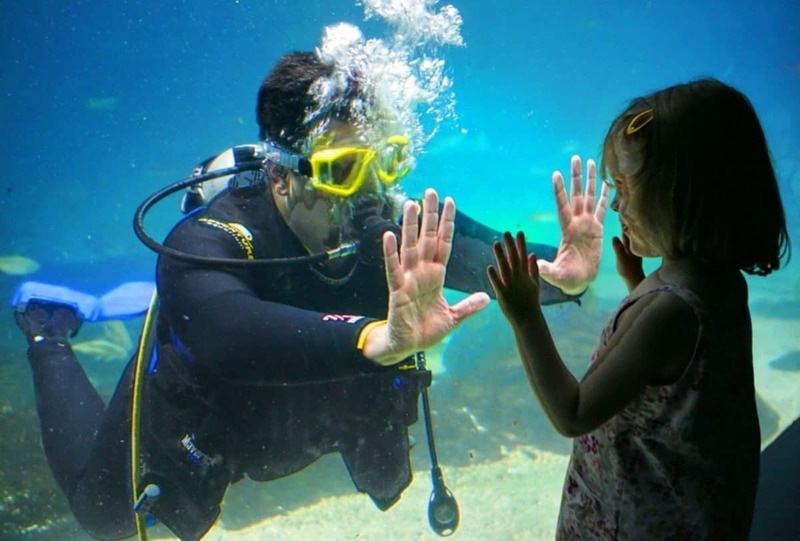 Students and educators will get up close and personal with the underwater world. The location features exhibits with over 8,500 aquatic species on display. Featured animals here include the following: African Black-footed Penguins, Orinoco Crocodiles, Bamboo Sharks, a Snake Neck Turtle, and the Hammerhead Shark. There are also birds and other species featured as well. There are fascinating exhibits to view at this one-of-a-kind location. Featured exhibits include: Creature Feature, Caribbean Currents, the Jules Verne Gallery, Kid Zone, Ocean Realm, Penguin Island, Shark Realm, Stingray Beach Club, Touch a Shark, West African River Experience, and the 4 D Theater. The Caribbean Currents contains 15 different exhibits which feature exotic and amazing creatures. The Shark Realm exhibit contains the largest collection of sharks on the East Coast. Students will get the chance to view several types of sharks and other animals. These include: Sand Tiger Sharks, Sandbar Sharks, and Nurse Sharks.